Link Collection #11 - What a Great Link Blog! The Vasa was the greatest warship to never go to war. 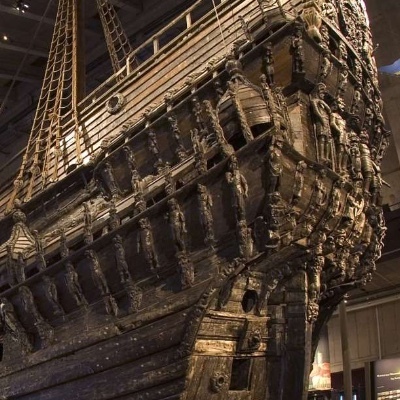 Named after the Swedish royal family—the House of Vasa—the vessel was commissioned by King Gustavus II Adolphus in 1625 and was earmarked to become his navy’s flagship. Gustavus had big dreams for the Vasa: He wanted the most lethal warship in the Baltic Sea, one that was as beautiful as it was deadly. For three years carpenters, sailmakers, painters, woodcarvers, ropemakers, and hundreds of other artisans and craftsmen rushed to build the king’s vessel. The Vasa would be a floridly crafted masterpiece with at least 700 delicately carved sculptures, figurines, and ornaments: Angels, devils, lions, emperors, warriors, musicians, mermaids, ghastly faces, heavenly facades—all painstakingly crafted from oak, pine, and lime wood. A great story about the recovery of the vessel spanning hundreds of years. 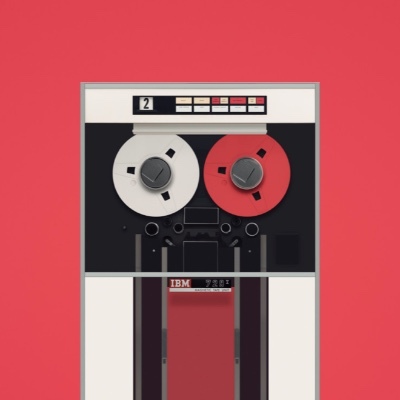 James Ball worked with several museums and other organizations to produce some stunning images of various devices from the early era of computing. The results are quite amazing. 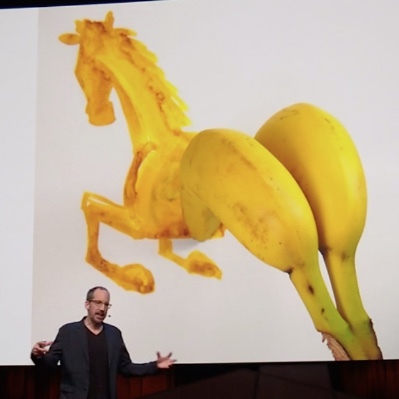 Without realizing it, we’re fluent in the language of pictures, says illustrator Christoph Niemann. In a charming talk packed with witty, whimsical drawings, Niemann takes us on a hilarious visual tour that shows how artists tap into our emotions and minds – all without words. This is a great piece about glitter. I know, it sounds odd, but trust me; it’s worth a read. 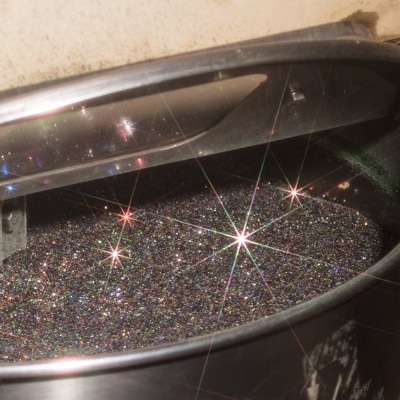 Most of the glitter that adorns America’s name brand products is made in one of two places: The first is in New Jersey, but the second, however, is also in New Jersey. The first, the rumored farm site of glitter’s invention, refused to answer any of my questions. “We are a very private company,” a representative said via email. The second is Glitterex. At several points throughout the session, I found myself smiling just looking around the table as I considered how seemingly random a group of people this was. There were participants ranging from, by my best guess, age 13 up to those in their sixties. Two people were friends who just got new phones, and they were constantly delighted and awed by all the things they learned in the session. A mom was attending with her daughter, who was taking notes for a school report. The rest of us, by outward appearance at least, had little in common. But there we sat, around a table, learning and experimenting with the technology we share. 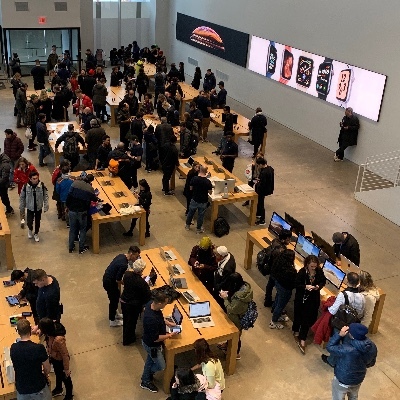 These days, when most of the tech industry is trying to replace real human interaction with profiles, posts, likes, and follows, it’s refreshing to see a program like Today at Apple that brings people together in-person. Technology should be used to enhance and enrich the time we spend with other people, not exploit our connections to each other. That’s why I created What a Great Link, and that’s why I love to see other companies do things like this.